Whether you know it or not, working out in the morning could be the most important health decision you make all day. 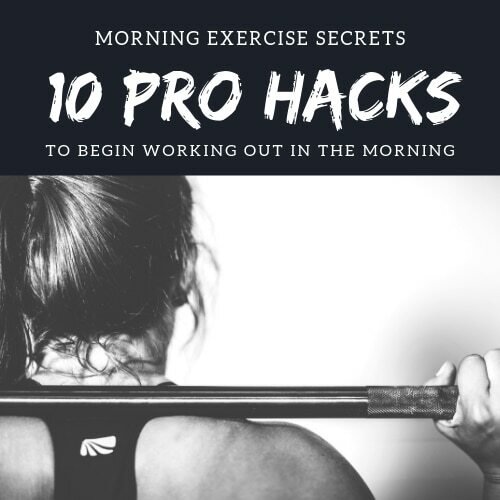 Of course, not all of us are morning people and there really are few people that naturally hop out of bed ready to take on a grueling workout or cardio session. But getting your heart pumping and exercising in the morning starts your day off right and ensures that you make time for exercise. Ready to find out the secrets? Well, let’s first start by understanding some of the significant benefits of exercising in the morning. Working out in the morning affords you a distraction free workout. When my son was little, I would set my alarm 1 hour before he usually awoke and would quietly sneak to the basement where I had a small, makeshift gym first thing in the morning. That time became my own personal time where there were no distractions and no one needing my attention. I was able to really focus and to hit my workouts hard. The same thing can be said for getting to the gym early. Have you ever tried to do superset exercises or tri-sets at 5:00 on a Monday? Pretty much impossible to get 2 or 3 open pieces of equipment, right? One of the unsung bonuses of working out early in the morning is that most of the time, you will have the full gym free for your use. Morning exercisers are there to workout, not socialize. Of course I want you to enjoy your time at the gym but I also want you to get an amazing workout. That’s why you are there, right? Well women that are committed enough to hit the gym at 5, 6 or 7 am are there for one reason. They really want to get in a workout. Not to chit chat and socialize. If you struggle to get through your workouts because you are constantly interrupted, then working out in the morning will put you in an environment with other people that share your same goal. Get in, get it done and move on with your day. Training in the morning starts your day off right. By starting your day off with exercise… whether is be a solid strength training session where you hit the weights, intense cardio that pushes your heart rate or an invigorating morning yoga class.. you are setting the pace for the rest of your day. If you can complete the majority of your workout before the rest of the world has left the comfort of their beds, you will feel incredibly accomplished and that feeling will spill over into everything else you do that day. I find it amazing how a serious sweat session can help you quickly focus on the next thing you have coming whether at work, school or with your family. You just feel stronger, more connected and more purpose filled when you have knocked out your workouts early. Not to mention you are fully awake and ready for that next task. Exercise in general can be a great bridge that leaves you invigorated. For a multitude of reasons, exercising first thing in the morning is associated with higher rates of weight loss. First, you are at a hormonal advantage for building muscle and losing weight early in the day. There are naturally circulating hormones like testosterone and growth hormone that are higher in the morning. Second, glycogen stores a lower and your body is more likely to utilize fat as a fuel source. When you workout first thing in the am, you are setting yourself up for weight loss success. But the best reason to choose morning workouts over evening workouts is that your metabolic rate will sky rocket. The degree depends on how fit you are to start and what types of workouts you are going to do. But, if everything else is the same, then exercising in the morning will speed up a slow metabolism, helping your body to burn more calories throughout the day. This is know as post-exercise oxygen consumption or EPOC. Now you know why it is so important to get out of bed early and to get your workout in but that does not make it any easier when the sun is not even up yet. So what are my best tips to help you become a morning exerciser? #1 – It’s all about the H2O. One of the most important things I do every single morning is to splash my face with ice cold water and then to drink a great big glass of icy water. Within seconds you are wide awake and feeling refreshed. #2 – Be consistent… with your bed time. One surefire way to avoid exercise in the morning and to keep hitting snooze is to be sleep deprived. If you keep your bed time the same each night, you are significantly more likely to feel well rested in the morning. In fact, sleep can help you lose weight! #3 – Only set one physical alarm. I have heard other people have success by setting multiple alarms or having elaborate alarm systems that go off at different intervals throughout the morning. However, hitting snooze several times cuts into the actually restful sleep that you get and drags out your wakeup process significantly. Not to mention how it interrupts your spouse and kids! Decide specifically what time you actually want to wake up and then set your alarm for that time. #4 – Don’t hit snooze! Instead of setting a second alarm or hitting snooze take a few minutes the night before as you climb into bed and tell yourself what time you will be waking up. This is a great trick that I learned from people that get up each morning without an alarm clock. The best part of this tip is that it sets the expectation in your mind that you WILL be working out in the morning. #5 – Lay out your clothes the night before.. and set them by your alarm. Each night before I go to bed, I will lay my workout clothes out on my dresser right next to my alarm clock. Then in the morning, as I turn off my alarm, I can naturally grab my clothes. #6 – Hit the Lights. As soon as you wake up, turn on your bedroom lights. Light will naturally bring your brain to an alert state making it much less likely that you will crawl back into bed. #7 – Don’t skimp on the java. Caffeine has been shown to improve weight loss when taken in 15-30 mins before exercise. Not only will it make you feel more alert, caffeine in coffee or tea will help you workout hard and lose weight. Bonus! #8 – Choose workout clothes that you love. Few things are more motivating than loving how you feel in a specific outfit. For me, it is my Athleta Chaturange Tights and my super comfy slouchy sweatshirt. Knowing that those are waiting by my alarm is enough motivation to make me move! #9 – Pop a tasty treat. While it is fine to do cardio on an empty stomach, I find it best to have a little something in my stomach if I intended to do a more challenging weight training session. That is when I reach for my UMP Protein Balls with Beverly International UMP Protein. One or two of those with a cup of coffee in the morning is something that I love getting up for! 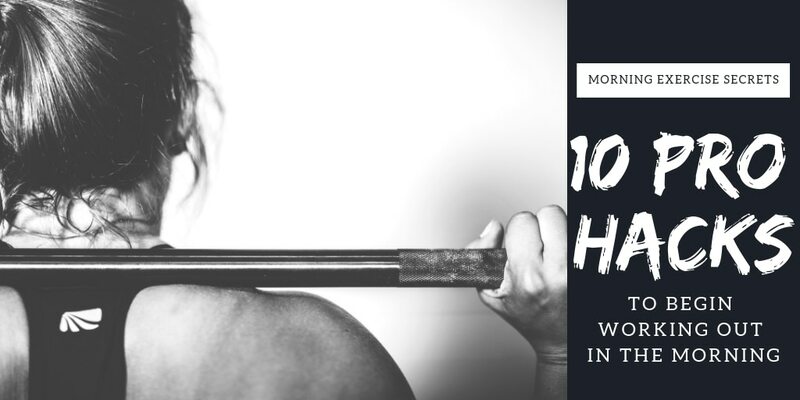 #10 – Think about how great you will feel. Knowing that you got your workout in as the rest of the world slumbers, well that will make you feel amazing all day.